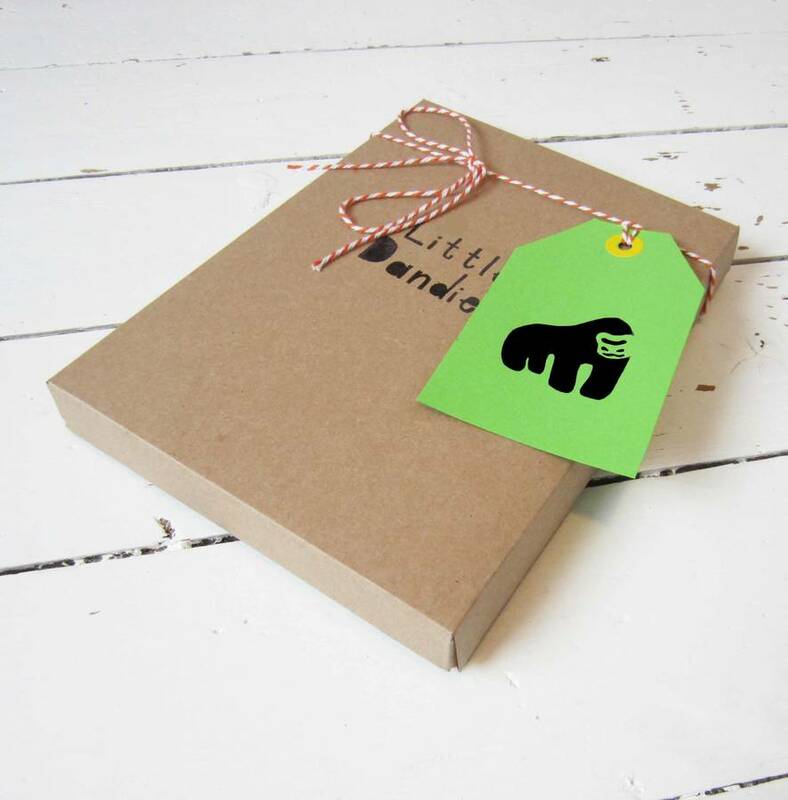 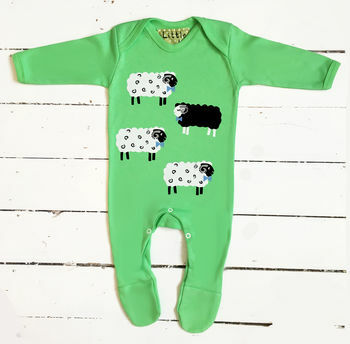 Handprinted Sheep unisex Baby Grow. 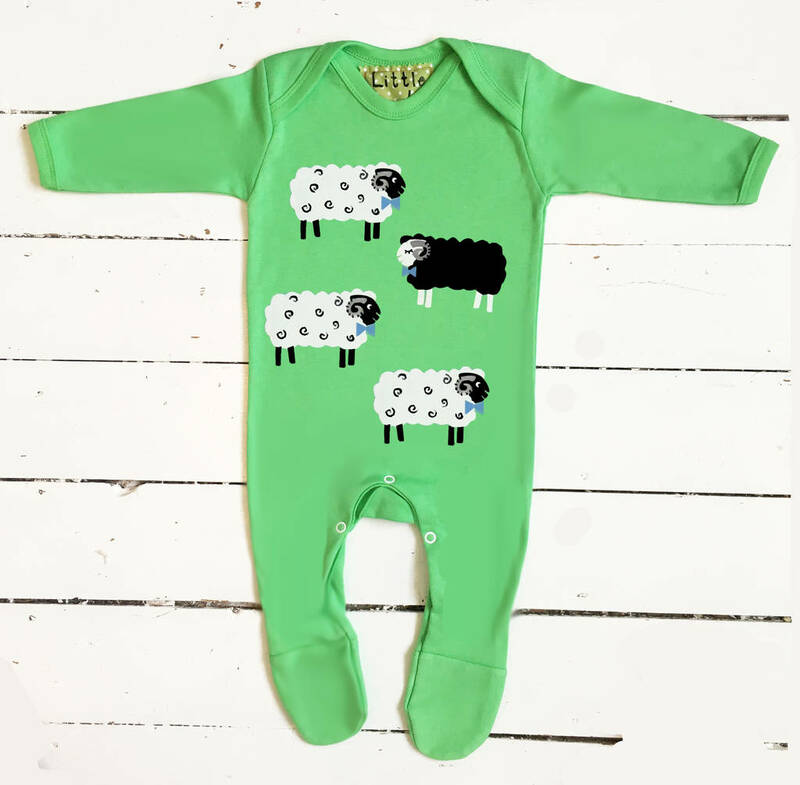 A brightly coloured farm animal sheep babygrow in apple green. 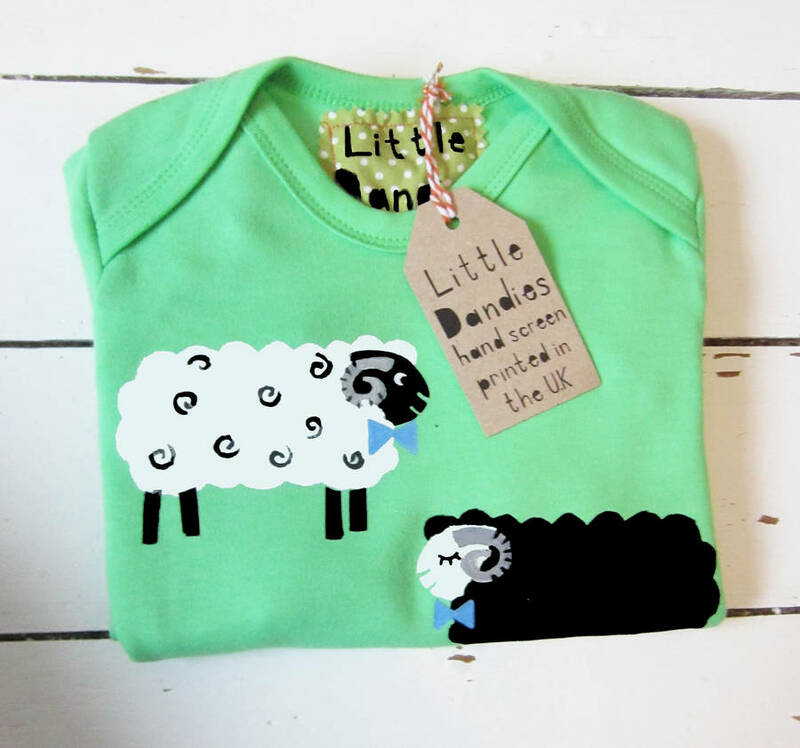 Handprinted animal babygrow with black and white sheep in bow ties, with a small cheeky black sheep on the bottom.